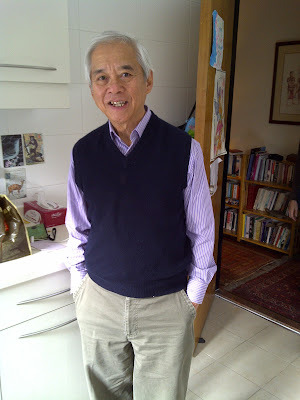 He came back from Vietnam last weekend looking so smart, I had to snap this picture. I love his purple dress shirt paired with the navy vest. Very stylo (his word). Not bad for 76, eh? He and my mum are already in NYC with my sisters and their families for Christmas. I'm missing being all together this Christmas, but I'm glad they can be there. My sister is too pregnant to fly, so there wasn't really much of a choice. And, I have my uncle here, so we're not totally alone or anything. I'll be seeing them for a quick week in March to meet my new niece and I can't wait!